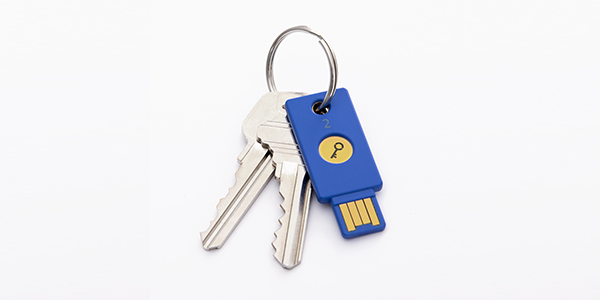 Last week, Yubico, the company behind the popular YubiKey USB authentication dongles, announced the launch of its $20 Security Key with support for the FIDO2/WebAuthn standard. With a bit of luck, FIDO2 may just herald the end of passwords and, as the company announced today, Microsoft is putting its weight behind this by announcing upcoming support for the Yubico Security Key for Windows 10 and Azure Active Directory users. This new feature is currently in limited preview and only available to Windows Technology Adoption Program users. Wider support for FIDO2 passwordless logins will roll out with the next Windows 10 update. When that’s coming remains a bit of a mystery, though. Once it does, you’ll be able to sign into a device that’s managed with Azure Active Directory without the need for entering a password. For now, the focus here is mostly on enterprise users. It’s worth noting that Microsoft already offers a solution for getting into Windows 10 without a password, thanks to Windows Hello, which uses face recognition, an iris scanner or a fingerprint reader on your Windows machine to log you in. Ahead of today’s announcement, Yubico also launched its developer program for companies that want to implement support for its FIDO2 and the other protocols like U2F that its keys support.